The Sonor AXCBF Global Beat Alto Xylophone is part of the global beat series of Xylophones. The resonator box is made of Birch plywood while the brown sound bars are made of fibreglass. Included is a bag for bars F-sharp 2, B-flat 2 and F-sharp 3. 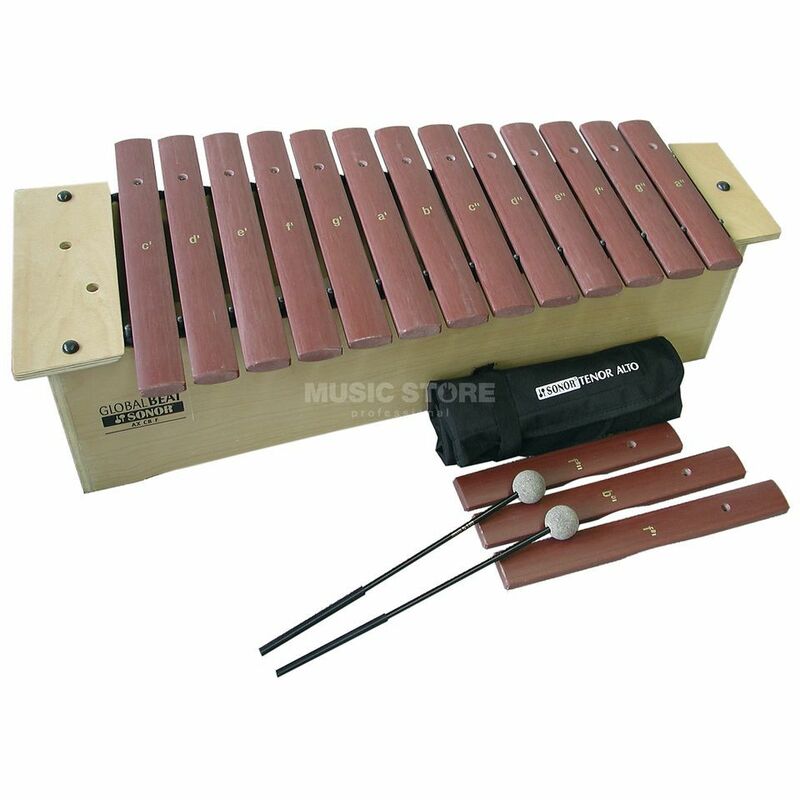 One pair of felt headed mallets included makes this a ready to go, durable xylophone with improved resonance.